Did you know that virtually one-quarter of all orthodontic patients are above the age of 21? It's true; in fact, every day the team at Mint Dentistry seems to welcome another one of our valuable patients into the world of orthodontic treatment. And whether you have a mild gap that you'd like to fix, or require advanced orthodontic services, you can be certain that the professionals at Mint Dentistry have an affordable and quality-driven orthodontic solution tailor made for you. Over the years, our culture has increasingly placed an emphasis on having straight teeth in order to sport an award-winning smile that brings in favorable first impressions amongst the people you meet on a daily basis. Start Your Path to Straighter Smiles Today! 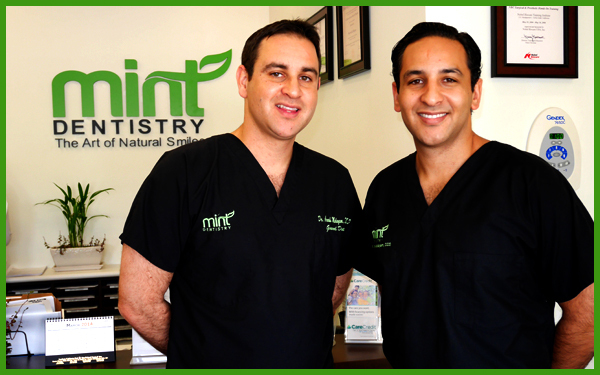 There are several ways to align your teeth at Mint Dentistry that are easy, affordable and provide less discomfort than you'd think. We offer different options for both adults and children that each offers their own set of benefits. We will help you narrow your choice down based on certain factors such as budget and other variables. For more information or to schedule an orthodontic consultation with our orthodontists, please call our office @ (818) 716-0297 or fill out our convenient online form.